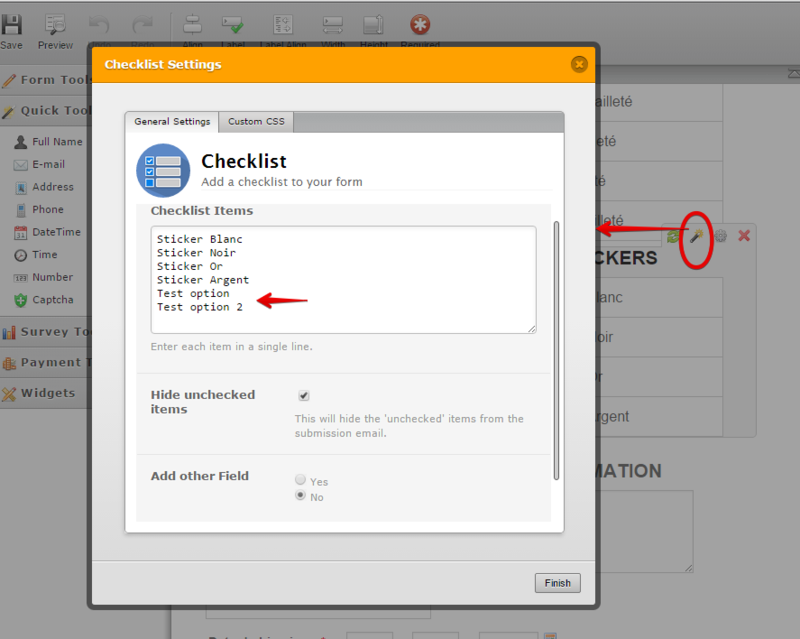 Was there any error that happen when you tried modifying the Checklist option? Can you provide us more details. 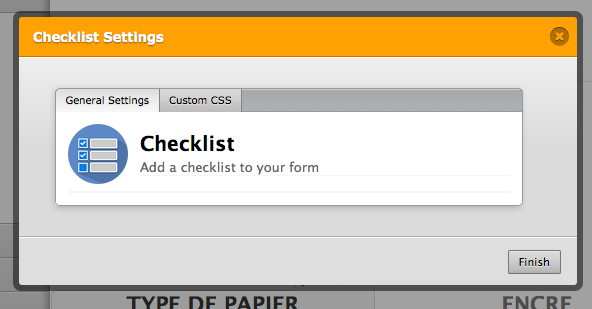 Which of the Checklist in the form is having the issue? 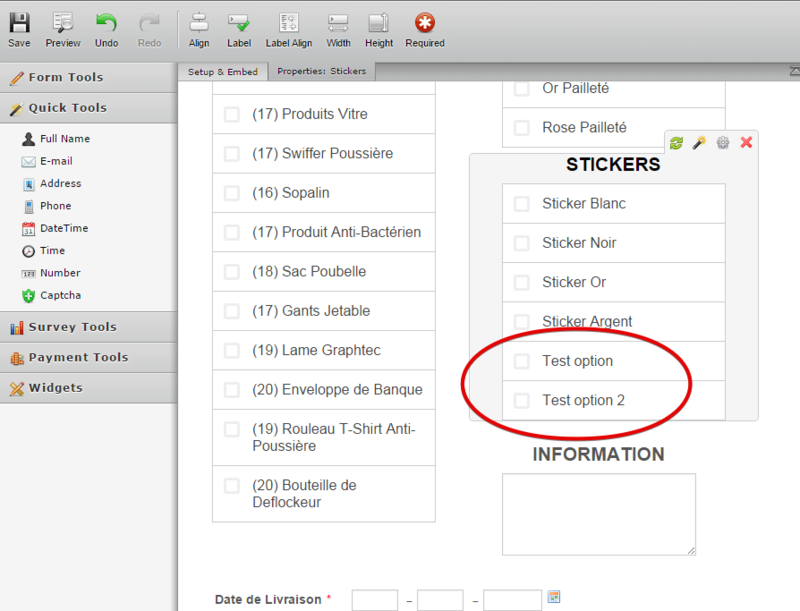 I tried it on your jotform http://www.jotformpro.com/form/50542645203952 but I could not reproduce any issue. I was able to add more option on the checklist. Please see the screen below when I test it. This happen to me also with another widget when you update it.. Thank you for providing us with more details and screenshot. So far I could not replicate the problem on my end. But obviously it happens for you. I will elevate this thread to our higher team support so that it can be immediately check. I'm sorry about the inconvenience this caused you. This happened when we changed data centers for operational reasons - and your widgets were loaded from an older version. I have refreshed all your widgets to access the current version - so you should be able to access all settings again - please check.